I had a 18239 which wore well. Yet, I wanted to test the difference between it -- and the newer model (118239) with the heavier bracelet. The 118239 seems to wear better because it feels more balanced (at least that's my perception). Perhaps the solid end links and bracelet do make a difference after all. Definitely worth the upgrade and remains both highly versatile and Under The Radar (UTR)for a Rolex. 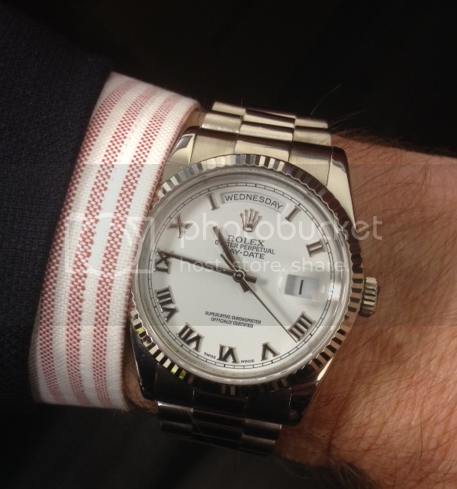 Next Topic: Rolex Pepsi Ceramic- Would this work?